SOHO Bar is another ideal destination for an impressive Da Nang nightlife. SOHO bar serves customers with fantastic beverages special for Friday nights and events. Featuring with a large space, having a stage for live music, a dart board, foosball table and pool table, this bar has hosted a lot of special events and parties in Da Nang. The staffs here are friendly, attentive and will be very happy to have a chat with customers. Also, they are good at speaking English, so it is very easy for customers to chat with. Besides, SOHO Bar severs a small menu of Mexican food and other bar snacks. In addition to Mexican food, you could also order Thai food right from the restaurant upstairs. This bar is known as a complete place with nice music, great drinks, nice staff, and unique decoration so that it is perfect for hanging out with friends or simply indulging yourself in your inner thoughts. It is not large but you could come and have a comfortable seat at the corner, gazing via the window at the outside, or watching people inside. 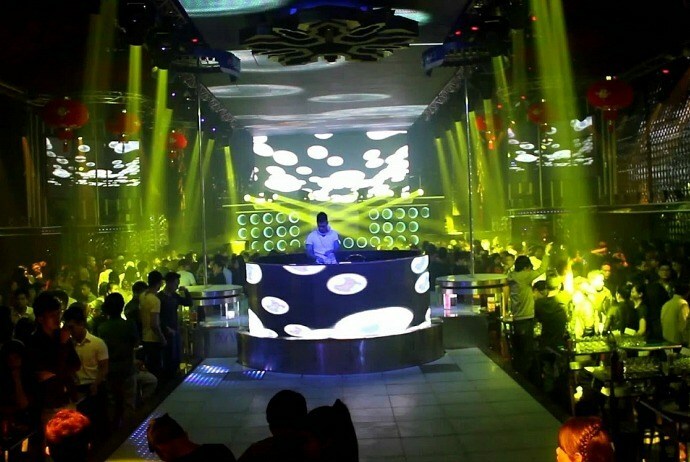 New Phuong Dong (Phương Đông Mới) Nightclub is considered as the largest as well as newest clubs in Da Nang. This club is situated in the city center and regularly hosts joyful parties with well-known Vietnamese DJs. Also, it has a lounge area, which offers the chilling and relaxing atmosphere for every customer. Additionally, there is a vibrant dance floor for all dancing enthusiasts. With impressive decoration and design, New Phuong Dong is an exciting destination for both locals and tourists to explore Da Nang nightlife.